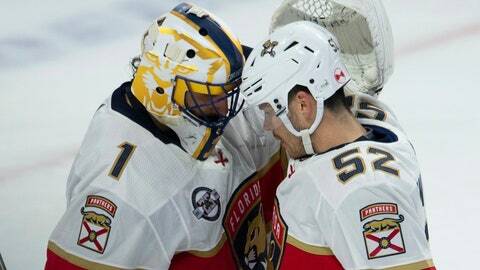 Florida’s veteran goalie — the oldest netminder and third-oldest player to appear in the NHL this season — will celebrate his milestone 40th birthday on Thursday. He’s tentatively scheduled to start the Panthers‘ season-finale on Saturday night. Then it’ll be time for Luongo to begin his rite of spring: figuring out whether to keep playing.